In 1983, I was in the Air Force and stationed at a tiny communications site in Spain. When I say tiny, I'm not exaggerating. There were only nineteen personnel assigned to Operating Location F, otherwise known as "Estaca" and none of them were even officers. The highest rank assigned to the site was an Air Force Master Sergeant. 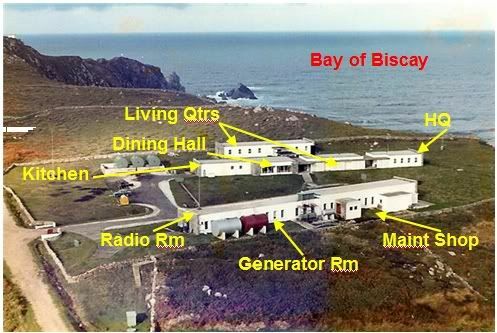 Estaca De Bares was a radio site that served as a ground entry point for the Airborne Command Post in Europe. Our mission there was known as "Silk Purse". The Silk Purse concept was that when those pesky Russians finally started WWIII, select military commanders would board a jet stuffed with communications gear in Mildnenhall England and fly around the world issuing edicts to restore order to the planet. Maybe I've grown cynical in my old age, but it all seemed really important back then and I was proud to be a part of it. Estaca only had two buildings. We were considered Class B resources, which meant in terms of National security priority, we were second in Europe only to nukes. Yet, there wasn't even a gate into the place or fence around it. Well, now that I think of it, there was a fence. It was a stone fence about three feet high the purpose of which was to keep out the herds of wayward sheep and wild horses that roamed the area. One building housed the mission radios, the backup generators, and a small maintenance shop for the two six passenger trucks assigned to the site. The other building had a few ninety square foot dorm rooms, a restaurant caliber kitchen, a dining hall/movie theater complete with a 16mm projector, a 3/4 VHS tape player, and a bar/lounge. The lounge was the centerpiece for most of the insanity that took place at Estaca. The tall building in the upper right of the above photo was constructed after I left the site in 1984. Estaca was my first assignment in the Air Force following my technical training at Sheppard AFB in Wichita Falls, Texas. Second to getting laid and graduating, the part every Airman looks forward to the most in tech school is getting orders. Orders are printed details of an Airman's upcoming assignment and since they were my first after tech school, they were something for which I waited with baited breath. Other students' orders were just stuffed into their mailbox in the admin area of the training dorm. I got a note that said I had to report to a personnel office to pick up my orders. When I signed for them, the location was blank. There was no base listed. All it said was "Spain". SPAIN? I was briefed on the details of the assignment by some two-stripe nerd with military issue birth control glasses who possessed a personality equivalent to that of a dried up sponge on Quaaludes. After the briefing, I knew about as much as I did before went in. All I knew is it was Spain and it was "remote". I had vivid visions of jungle growth with Quonset huts scattered and camouflaged to hide them from the Russians. I learned later that "remote" meant only that the tour was unaccompanied, meaning no family support or facilities were available. I had no family yet, so that mattered not to me. Jungle? In Spain? Really? When I finally made it to Estaca, I was as green as they came. I was a nineteen year old kid from Texas thrust into a backward region in the northwest corner of Spain known as Galicia. 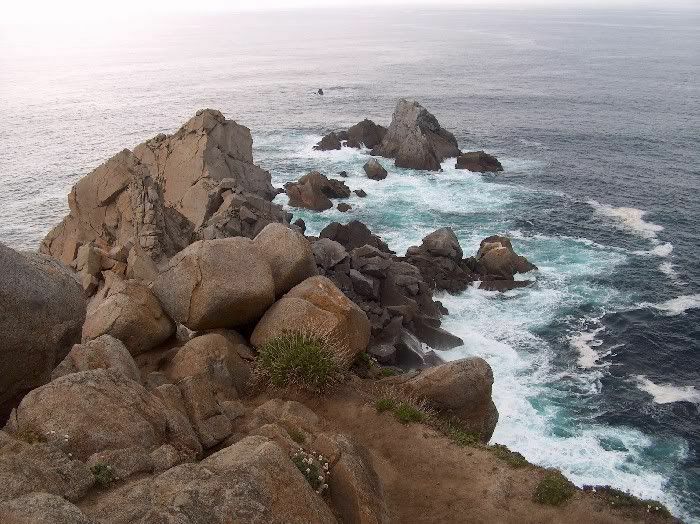 The Estaca site literally bumped up against the Bay of Biscay, the tide from which crashed violently all night and day against the jagged rocks piled some two hundred feet below. That crashing sound would prove to be soothing in the near future. Many aspects of life at Estaca have had a profound impact on me as an adult. Certain events in my life have caused me to forget a great deal, but I recently saw a movie called "The Way", most of which takes place in northern Spain. The movie sparked a flood of memories of my year at Estaca and I still find myself laughing out loud over them. I'm the kind of guy to whom laughter gives a muse for writing and my Estaca memories offer a great deal of fodder to satiate this muse. MSgt Clark of SPACE COMMAND! ...and whatever else comes to mind.